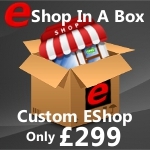 E Shop Hosts now offer a feature packed range of reseller hosting plans that utilise the latest, state of the art range of servers on a fast and reliable network. With a range of three Reseller Hosting Plans available to choose from, you can host unlimited cPanel accounts, MySQL databases and E-Mails up to your allocated disk space limit. All E Shop Hosts Reseller Hosting Plans are totally white-labelled so your clients will never know that you are using a reseller account for your hosting business. We have made our reseller services as flexible and easy to use as possible and as your hosting business grows our reseller hosting plans are easily upgraded at any time on a pro rata cost basis. All E Shop Hosts Reseller hosting Plans include the premium WHMCS billing software and client management software Free. Our Reseller Hosting Plans allow you to host unlimited cPanel accounts, MySQL databases and E-Mails up to your allocated disk space limit. CPanel is the industry leader and most requested hosting account managing software for clients and includes a whole host of options and facilities to your clients..
All E Shop Hosts Reseller Hosting Plans include WHM access, linked from both cPanel and WHMCS. Use WHM for setting up and managing your own hosting accounts, set your own disk space and bandwidth quotas in WHM as well as monitor your own hosting clients usage statistics. More Details ! Order Now ! If you want to resell hosting then our Fully White Label (unbranded) Reseller Hosting Plans are an ideal choice if you want to offer your clients fast and reliable hosting with cPanel, one-click installs, easy email set up and more. With our Reseller Hosting Plans, everything is ready out of the box to run your own hosting business. Not Sure which Reseller Hosting Plan Suits You?